If you are ready to heal your mind, body and soul then this Soulcation in serene Mt. Ida with natural elements of water, wind, earth and fire is just for you. Are you ready to heal and re-charge your mind, body and soul and create a healing practice of self-love, a practice in creating your own happiness that really works? Then healing with natures elements is for you! Imagine floating on Lake Ouachita deep in meditation where you experience an awakening of the soul like never before. The sense of deep peace, expansive freedom and serenity fill every cell of your body and you can feel your cells heal…. …a huge crystal bed lines the bottom of the lake’s clear water! We will literally swim in the healing crystal energy during our private boat excursion as the gentle warm breeze delights all your senses with the natural scents of pine trees and autumn wild flowers. Gazing over the magnificent Ouachita mountain with gorgeous green landscape and pristine sunsets you can hardly believe that, at last, you’re here… feeling the calmness that only nature can bring. Just imagine how good it will feel to finally feel energetically filled, powerful, focused and answering your soul’s call to heal the mind, body and spirit so you can return home energized. By using the natural power of nature to help release the old stuck energy, nature also provides focusing power like nothing else in the world. So, if you are confused about who you are, have lost your purpose and passion, are in a transition of any kind or simply feel exhausted and overwhelm then this sacred land will provide what you need. But the deep, freeing and oh-so fun ceremonies, meditations, crystal digs and teachings we will do together will help you embody soul truths and create practical tools that support you in your daily life, so you never feel exhausted again. Be prepared to step into a new YOU, where living aligned to your soul’s purpose as you become confident to live a life filled with passion, purpose and bliss. We will learn to interact with nature to restore your wild power, commune with tree spirits to unlock the mystery of who YOU are and create a usable plan for balance when you return home. We’ll spend 5 days and 4 nights at the breathtaking Mountain Harbor Resort & Spa, in Lake Ouachita’s most luxurious lake side cabins. You’ll arrive on Wednesday, September 25th and depart on Sunday, September 29th. Voted “The Best Resort in Arkansas” for three consecutive years, there’s no better place to escape, sleep and play. Crystals are incredible conduits for healing — allowing positive light-filled energy to flow into the body, and the negative energy of dis-ease to flow out. In addition to warding off illness, crystal energy is also known to connect the physical and supernatural elements of the body, allowing you to tap into your inner knowingness. Throughout the ages, clear quartz crystals, like the ones found in Mt. Ida, have been highly prized for their beauty and powerful benefits of spiritual, physical and emotional healing. If you’ve never experienced the healing energy of Mt. Ida, Arkansas, a visit to the “Quartz Crystal Capital of the World” it’s a MUST! Food will be prepared on site by Angela’s personal retreat chef. All food will be hand-selected and absolutely delicious. Breakfast, lunch and dinner will impress with selections ranging from green smoothies to warm soups and crisp fall salads, or perhaps a grounding dinner of pan-seared walleye or roast chicken. Can’t eat gluten or dairy? Need to go veg? No worries! Your dietary needs are important and can be accommodated, no problem. What you can expect on this one-of-kind transformational journey of 5 days and 4 nights? Transformation and freedom for starters! It’s not a secret that a journey like this will change your life forever. OMG and aha moments will be your norm on this expansive trip. Teachings and channeled messages are unlimited as we discover what limits you through Angela’s new book: The Laws of Limitations and Chaos. Practical tools will fill your pockets to overcome anything that creates limitations in your life. Experience how everything that is not the real you, transforms by using the elements of water, air, earth, fire and space. You will learn to use nature to help you heal mind, body and soul. With all this transformation you will return excited and ready to manifest the life of your dreams. Other non-included items would include souvenir shopping, personal phone calls, extra spa services, laundry, extra days stay. Arrive into the Hot Springs airport (HOT) on Wednesday, September 25 before 4 pm if possible so we can pick you up and get you settled in before dinner. All pick-ups will be arranged to eliminate multiple pick-ups at the airport. Sunday, September 29th if you can leave after 11 am so drop offs can be arranged as a group. If you want to come earlier or stay later for some exploring, you will need to make those arrangements on your own. For this trip: Any cancellation will result in a total loss of the $500 USD deposit. Any cancellation made after July 1, 2019 will result in a 50% loss of the trip price. Any cancellation made after September 1, 2019 will result in a total loss of funds. We reserve the right to cancel the trip if it is not meeting the trip minimum (if we do so your deposit is refunded in full). Trip cancellation insurance is always recommended whenever making travel plans. 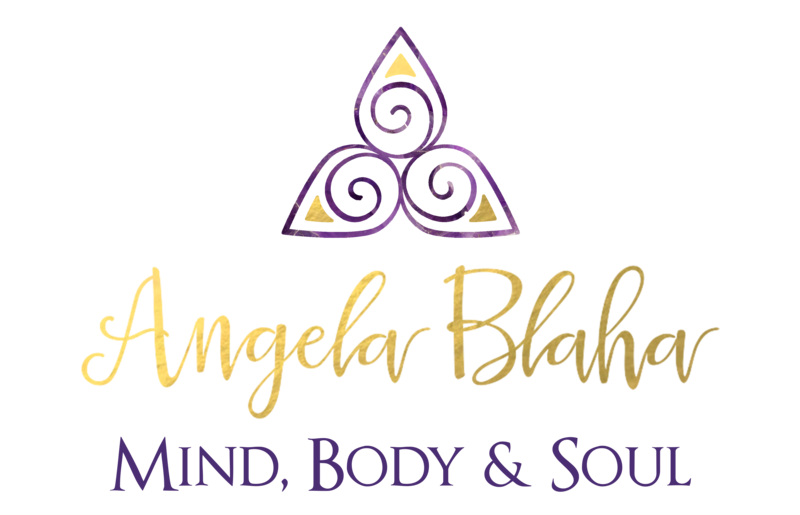 Angela Blaha is known as an Ascension Master’s, authors and transformational coach. She loves to create Soulcations and Exotic Transformational Journey’s and retreats where she teaches heart-centered entrepreneurs to fulfill their purpose and to live radically and passionately. Angela is driven by curiosity, an enduring love affair with soul essence, and has decades of intuitive wisdom which she shares so it can lead you to the most amazing life. Little-known facts: Angela experiments with her own consciousness on a daily basis creating tools that work to hack through emotions, thoughts and beliefs. After you submit payment, please wait to be directed to your details page. This can take up to 30 seconds. You’ll arrive on Tuesday, September 24th and depart on Sunday, September 29th. Bask in the beauty and tranquility along the shores of Lake Ouachita (about 970 miles long), surrounding the largest, clearest and cleanest lake in Arkansas (around 40,100 acres). The impressive Ouachita National Forest surrounds the lake in an expansive embrace. And beneath the scenic beauty of Lake Ouachita is a “surprise like none other” …a huge crystal bed lines the bottom of the lake’s clear water! So, we can literally swim in the healing crystal energy during our private boat excursion. How can a Crystal Retreat help me?